Three stars who killed it... and three who SO didn't (yikes!). The Elle Women in Hollywood Awards took place on Monday night, and now it&apos;s time to zero in on a select few attendees. Namely, the ones sporting beauty looks that we NEED to talk about. There were just three celebs that made me think: "wow!" Actually, make that six. Because there are also three that wowed me in an I-can&apos;t-believe-I&apos;m-seeing-this sort of way (not good). Shall we? I know, Whitney Port, The Hills, The City, who cares now?! It&apos;s not 2007. But come on—I had to show you this because seriously, have you ever seen her look this good? (Not just from the neck up; the dress was incredible too.) But let&apos;s focus on the star attraction: The Hair. Now, it&apos;s still that L.A. Ombré that everyone in that city seems to have. (Did I ever mention that I once met her colourist, Johnny Ramirez? He was in Toronto for a weekend and I was thisclose to getting my hair done, but alas, it didn&apos;t happen.) Anyway, super-long Ombré is pretty much his thing, and even though I stepped off that train a couple of years ago, I have to say that it suits Whitney spectacularly. There is no obvious colour at the roots AT ALL, just a gradual lightening that looks like it happened naturally from the sun. And I&apos;m in love with the half-up style that she&apos;s wearing it in; all cascading curls tumbling over one shoulder. Don&apos;t you want YOUR hair to do this?! The newest addition to my lineup of beauty idols continues to impress. I think it&apos;s that she&apos;s perfected the fine art of looking dressed up for the red carpet, but not like she tried too hard. Probably it has to do with these casual updos that she&apos;s been wearing lately—surely because her hair is in that yucky growing-out stage. Looks great though. And the makeup... OMG the makeup. Maybe you have to be born with her particular combination of skin tone and eye colour and hair colour, but suddenly I want to be all tawny like this with brownish pinks. The lips in particular are a great, go-anywhere colour that kinda remind me of MAC Spice. (The &apos;90s are back!) And not too glossy... the not-quite-matte finish is way more modern. Being a fan of no-makeup makeup, I really like the simplicity of Anna&apos;s look here. 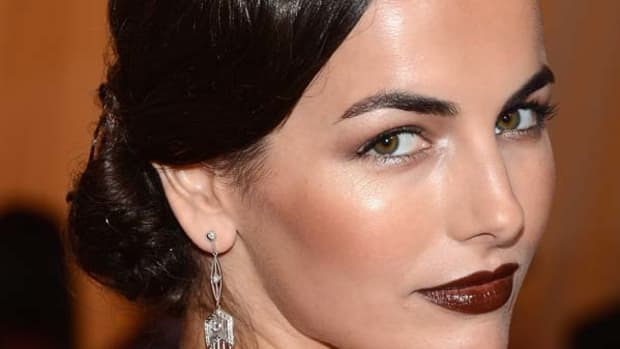 I think sometimes, when it&apos;s a special occasion, our instincts are to go all out with something obvious—like a bold lip or graphic eyeliner—that we wouldn&apos;t normally be able to get away with for daytime. And that&apos;s fine. It&apos;s fun, I get it. But as you see here, it can be really pretty and fresh to be borderline bare-faced, too. You still have to be polished, of course: Anna&apos;s wearing some liner, taupe shadow and mascara; there&apos;s a hint of blush; and her lips are emphasized with a gorgeous tawny shade (similar to Emma&apos;s). Her hair is tousled but "done"—and how great is that colour? The earrings also dress things up and tie it all together. She glows! Emma, what happened?! Oh wait, I know: you were trying too hard to make a lot of things happen. Too many things. If you compare this with the simplicity of the other Emma, there&apos;s just no contest. First of all, the hairstyle&apos;s not good. My hair used to look kind of like this when I was blonderexic and had bangs, and would pull it back. There&apos;s just something dated about it that I can&apos;t put my finger on... is it the visible roots? The frizziness? The prom-like tendrils on either side of her face? Whatever it is, it&apos;s NOT modern. Then there&apos;s the makeup. Something is going on in the eyelash region—I suspect a tangled extension. (Oh yes, I now understand how such things can happen. It&apos;s the most disturbing part of the experience when you go outside and your lash extensions start blowing in the wind. I&apos;m not even kidding.) Get this girl a lash comb. Also? I feel like the heavy mascara/liner and the bright lip are almost too much with the neon dress. Plus, of course, her lipstick&apos;s half come off. Ems, darling, you can do better. Now this is a doozy. And here Lea was on such a roll! It&apos;s such a shame that she fell back on the self-tanner crutch and came out looking like an Oompa Loompa. This is why I have reservations about faux tanning and have basically decided to just abandon the whole practice and be pale. Anyway, what makes it worse—much, MUCH worse—is the makeup. There&apos;s a vastly lighter area all around her eyes, and then the lips are a truly awful, clashing shade of pale pink. I almost feel sorry for the girl. 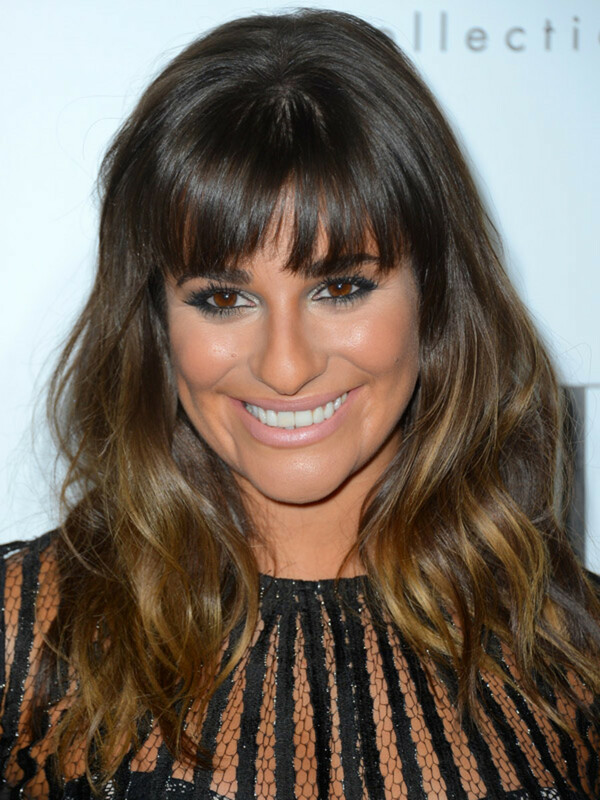 At least your hair looks nice, Lea. Remember when Julianne did the finger waves at the Emmys a few weeks back? Seems she&apos;s got a thing for these complicated updos lately. But guess what, Jules: they don&apos;t suit you. Oh I know, you&apos;re trying to make the transition from dancer to serious actress, and hair and makeup is a part of that... but it&apos;s just coming off as insincere. Can&apos;t you go the way of Jennifer Aniston and do the healthy, golden, California girl, hair down thing? That flatters you so much more than this does, hon. Go back to what you did at the Grammys and lather, rinse, repeat. Oh, and please never again attempt the Gothic lip trend. It doesn&apos;t work with a tan and mass quantities of brown blush. Who do you think rocked it at this red carpet? Which celeb&apos;s beauty crimes do you find the most shocking? Have you tried the dark lipstick trend yet—or does the way Julianne wears it scare you off? All the celebrity close-ups from the big night.